I love Valentine’s Day. It’s the one day to we celebrate love in a world full of negativity. It’s like beating the odds or overcoming the wrong in our world. There’s so much negativity all around us everyday in our work, circumstances, and pressures of life that we get one day to stop and smell the roses. 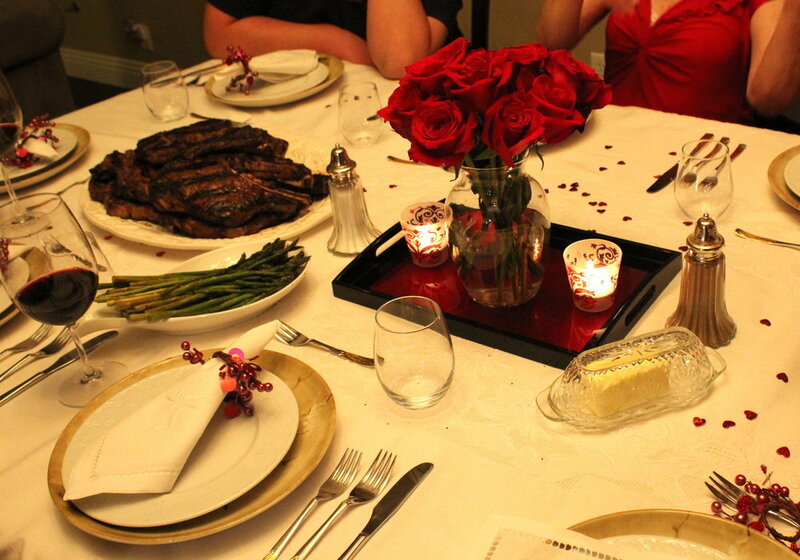 These are 3 simple ways we can celebrate Valentine’s. Create a video with pictures you have collected, add music and send it to someone you love. Create a beautiful dish or cup at a local pottery store. Create a warm and inviting environment with candles, fresh pillows, flowers and scents. Use this time of the year to create warmth around your home to remind you that no matter what, we need more love in our lives. Make jewelry. Visit a local bead store and buy colors that remind you of them and create a bracelet, earrings or necklace. Create a scarf. I bought material one year and made a whole bunch of scarves for friends one year and they loved them! I have had 2 friends knit me scarves and I’ll never get rid of them! Make dinner with candles, a tablecloth, glass dinnerware and even cloth napkins with a table decorated with simple flowers. Make someone’s day and share Valentine’s Day with them. If you have the means and you’re out of time, this is probably the most popular idea. Buy flowers – remember: white is for purity, yellow is for friendship and red is for love, A mixed bouquet says appreciation. I like to buy what speaks to me that day! Buy perfume, cologne spray, pillow spray, a fragrance mist for yourself or another. Buy bagels or donuts for the office. Neighbor – don’t forget the elderly! Now go out and celebrate love!